AMD celebrates its 40 year anniversary next month, and the Athlon brand turns ten shortly thereafter. What better way to celebrate than by releasing a rebadged 65nm Phenom processor with two cores disabled at $69? Er, or, I guess they could’ve sent a cake. There’s no surprise that the specs are identical, because the processors are identical. AMD simply disables two of the Phenom’s four cores in production before shipping the parts. In its heyday the original Phenom never broke 2.6GHz, but with a fully mature 65nm process and only two functional cores AMD is able to clock these parts higher. 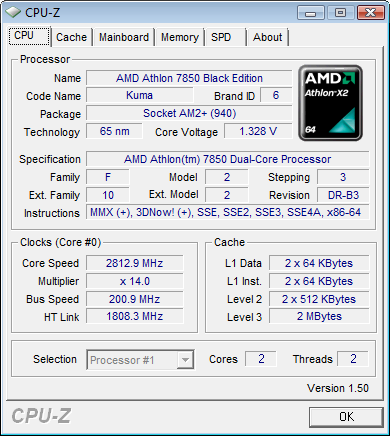 The first dual-core Phenom derivative was the Athlon X2 7750 and it ran at 2.7GHz. In AMD’s tradition of introducing far too many CPUs, today AMD expands the list with a 2.8GHz Athlon X2 7850. 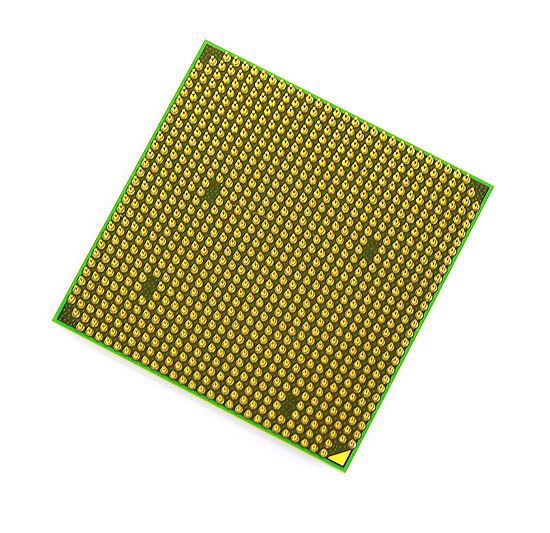 Once again this is the original Phenom processor; none of the advancements found in the Phenom II are included - it also means that the architecture doesn’t make quite as much sense. The original Phenom architecture was designed to be used for quad-core processor designs, hence the use of a large shared L3 cache alongside private L2 caches. With only two cores, many of the benefits of this architecture are lost. Intel discovered that the ideal dual-core architecture featured two levels of cache with a large, fast, L2 shared by both cores. AMD and Intel came to the conclusion that the ideal quad-core architecture had private L2 caches (one per core) with a large, shared L3 cache. 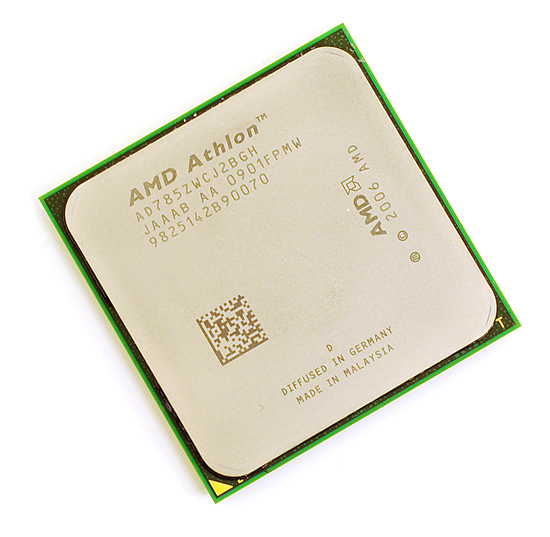 The Athlon X2 7850 takes the cache hierarchy of the ideal quad-core design and uses it on a dual-core processor. To make matters worse, it does so with an incredibly small L3. Intel found that on its Nehalem processor each core needed a minimum of 2MB of L3 cache for optimal performance. With Phenom II AMD settled on 1.5MB L3 per core. The original Phenom gave each core 512KB of L3, or in the case of a dual-core derivative 1MB of L3 cache. Again, not ideal. But it only costs $69. And things should be easier for AMD at the $69 price point - there’s no Nehalem to worry about down here, only cache starved Core 2 processors. 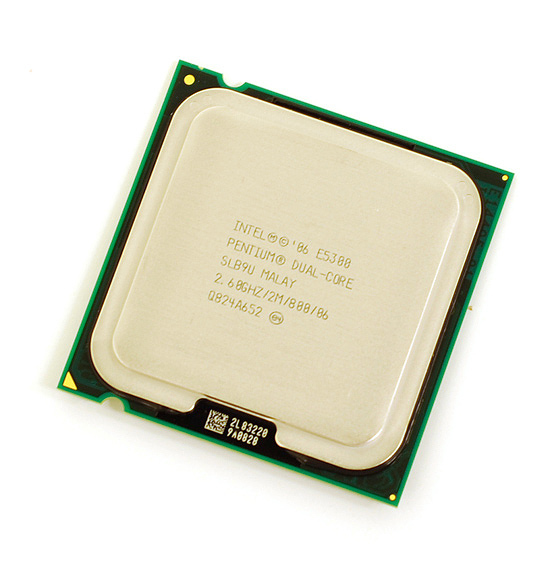 Priced at $74 we have Intel’s Pentium E5300. The Athlon X2 7850 is based on the original 65nm Phenom core, but with only two cores enabled. That means we’ve got a 64KB L1 data cache, 64KB L1 instruction cache and a 512KB L2 cache per core. There’s also this catch-all 2MB L3 cache, but it’s unfortunately very high latency by comparison. 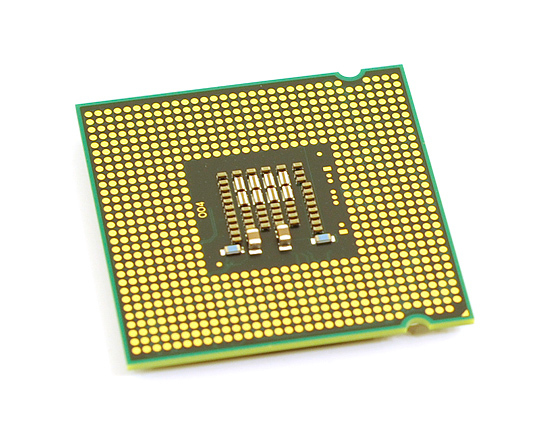 The Pentium E5300 is a trimmed down version of Intel’s 45nm Wolfdale core. Each core has a 32KB L1 data cache and a 32KB L1 instruction cache, smaller than the Athlon X2. The L2 cache is shared between the cores and is 2MB in size. It takes just as long to access data from Intel’s 2MB shared L2 as it does to get data from AMD’s 512KB L2. Intel does not have an L3 cache but it also doesn’t have an on-die memory controller, so final accesses to memory are a lot slower on Intel’s hardware. AMD has more cache but it’s slower than Intel’s, once you get out to main memory the Athlon X2 can get to data quicker but the E5300 has the benefit of more advanced prefetchers. Intel’s architecture also has a wider 4-issue front end compared to the Athlon X2. The execution advantage should go to Intel. 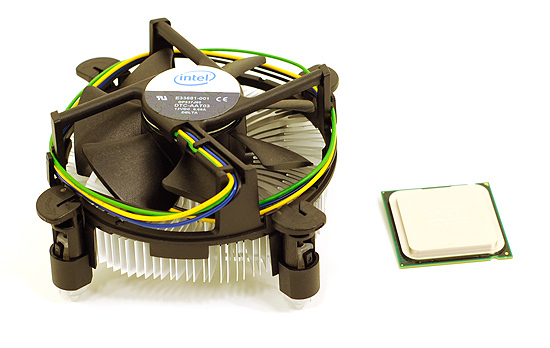 With a higher IPC, Intel doesn’t need to run at the same clock speeds to outperform AMD. However with an on-die memory controller, the Athlon X2 could pull ahead in applications that don’t fit nicely within the E5300’s L2 cache. While the Phenom II has been enjoying clear victories over Intel’s equivalently priced processors in the higher end space, it looks like crowning a winner at $70 will take a little more work. Please revisit this debate with overclocking factored into the picture. It seems you are benching the wrong hardware! You are far from the market guys.... the whole story is changing when comparing low end mobos. like G31or n73 for Intel. And 740V\g or 780G for AMD. It change totally the latency timing specially in Intel setup-there is no on die controller. people who buy these CPUs are those on a budget. now which is faster and has a lower price? 9300/9400 boards are faster than 780g but on a higher price. then if you're really on a budget you'll have to go for AMD set-up. if you still have some extra cash, you can put it on a video card, or extra memory or go for tri-core which will give a real nice performance, faster than OCed e5200/e5300. I don't wanna toot a moral high-horse, but... I noticed the word "crippled" in the article; why on earth (aside from being cheap or broke and needing a better job) would you waste money on a crippled piece of hard ware. Now some really smart mofo says "hey we can sell the same exact product from the same fab line, but we'll just 'disable' the other cores and rebadge it as a lower model, even though it costs us little to nothing to do this since it's all the same hardware!!!" Sweet deal for AMD/Intel etc. Can you see where this is going? I would never buy something that someone purposefully disabled cores that are on the chip, that could be active and working perfectly, but they've decided to be greedy (not necessarily bad) and disable them unless you pay another higher fee. So all someone (them) has to do is flip a switch or connect some traces and boom you have the true product as intended. So in essence, it costs them little to nothing to cripple this thing, yet charge a bit less for another “product,” which in reality is NOT another product, it's the same dang thing but crippled. Athlon outside competition, Athlon won the market! Athlon has surpassed all expectations, Athlon outside competition.